There is nothing like a new year to inspire us to reflect on personal growth. I haven’t posted anything about my windsurf journey in a while, so this seemed like a great time to demonstrate my growth in the sport of windsurfing. I have to push myself a little as I write this because this is one area of my leisure choices that is lacking. In the above image of me in Baja, Mexico in January 2016, you can see the hesitation and uncertainty in my body language as I get set to tackle shore break waves slightly over my head. 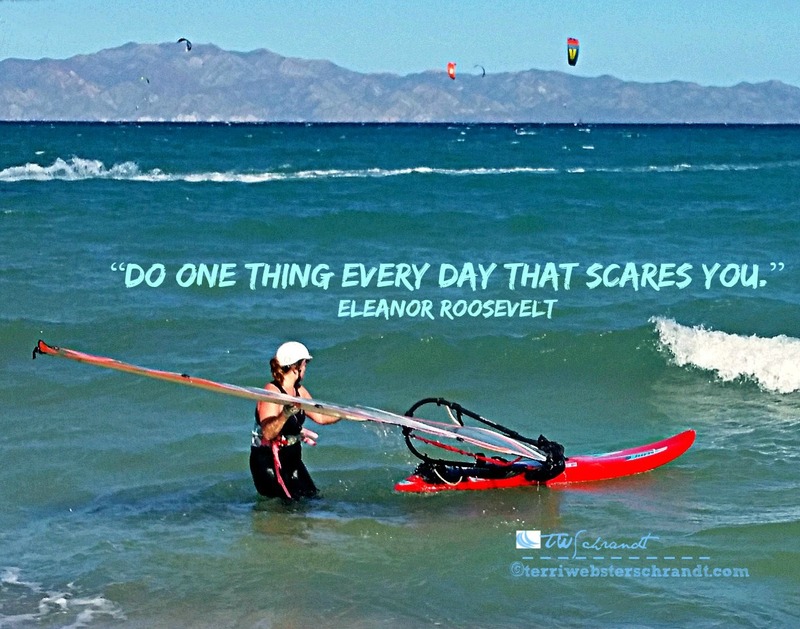 Sailing in the ocean is a scary proposition and I have used this same image with the Eleanor Roosevelt quote on several of my social media accounts. Because this does scare me even now! But not willing to cringe from a challenge, I was photographed last summer on one of the windier days at the delta, sailing on a very small sail! The wind clocked at 25 mph! I had convinced myself that in these kinds of windy conditions, that I would get injured sailing this fast. Any experienced windsurfer will tell you that “water-time” is the only remedy for overcoming your fears, and when hubby set up a 3.7 meter sail (I normally sail on a 4.7 or 5.0 meter sail), I took the challenge and faced my fear. And yes, I had a blast! Just the day before the video was taken of me, I used my new camera to take hundreds of photos of my fellow windsurfers as they braved the high winds. Using that camera in high winds and being able to capture some amazing footage in full zoom showed my growth as a photographer. Often times, I get more pleasure out of photographing my windsurf colleagues than I do sailing. I always seem to approach windsurfing with anxiousness and trepidation, even after eight seasons. But that day I went out in the high wind really challenged me and forced me to grow in the sport. The rest of the summer, not so much, as the wind died on many summer weekends, then I had to deal with a sick dog, then a broken hand. 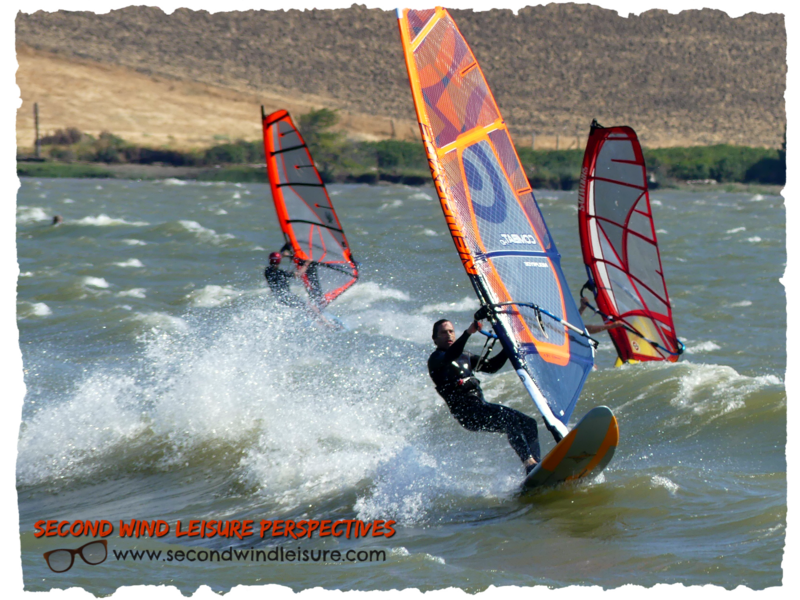 The best thing about reflecting at the beginning of the year is all that negativity is behind me and I really do look forward to the upcoming windsurf season! Here’s to a summer of growth! “Growth” is a great theme for photography and reflection. Part of me feels like you should keep growing in regards to windsurfing, but another part of me feels like it is not really your passion and you might want to use your leisure time more effectively and happily with photography… It does sound very exhilarating to be wind surfing in high – or above light – winds!! Cheers to a new year full of potential, growth and pristine beginnings. It’s a thrill but I don’t want to invest too much more $$ in lessons. What a great interpretation of the challenge, Terri. Many people, including me, struggled with this challenge but your growth in photography and writing has produced a great piece of writing and images. As I think I’ve told you before, water frightens me so I admire your determination to get over your fears of windsurfing. 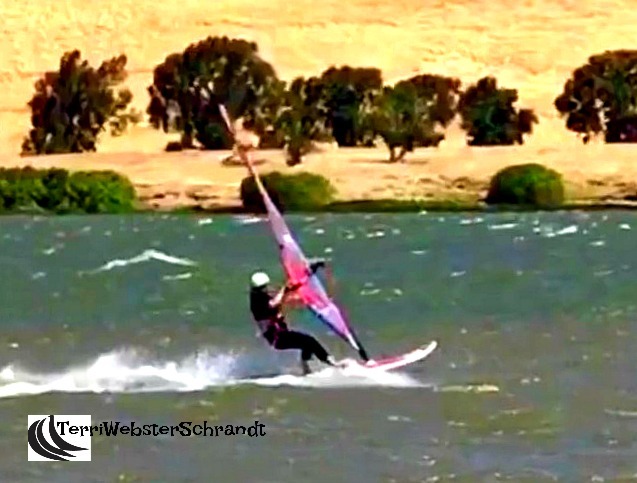 I hope this year is full of happy windsurfing days. Thanks so much Hugh! We are seeking a few challenges here on the Big Island of Hawaii as I write this. Hoping to get a few ready for Instagram 🙂 then a post or two! Thanks, Tina! We just arrived in Kona, Hawaii for a week vacation. No windsurfing but plenty of stand up paddling! So much to think about in this post, Terri. Yes, you’ve grown in many ways, not letting numbers (like years, age, wind mph, or anything insignificant) hold you back from doing exactly what you want to do. I wish I had your courage, but just watching the activity is my thrill. Thanks, Shari, sometimes I just sit and watch, amazed at the talented sailors who do it so effortlessly. Women my age who started at younger ages are so inspiring! 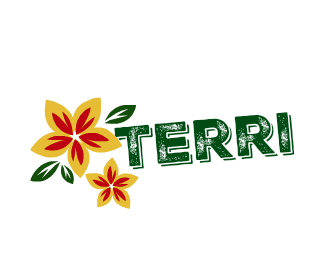 Terri – you were very successful to combine your journey and growth by great examples! I wish you could see other women sail. They are so adept that strength doesn’t matter! The quote on top is wonderful because we naturally avoid things that make us uncomfortable. So congratulations on facing this wind surfing challenge! You wove growth into this theme artfully. Thank you, Aixa! I could have posted a photo of a plant, but…naah! Hi, Terri – Like your other commenters, I admire your determination and your bravery. I have a million ways of taking myself out of things that scare me (especially physical ones). I love that despite your fears, you accept the challenge….and have a blast! Thanks, Donna, it is fun and I need to remember that when I get frustrated! You are brave to push yourself to wind surf, Terri. I would be much more comfortable taking photos of you but your photos are amazing, too! I like adventure and change, as long as it doesn’t involve outdoor activities. Haha! Here’s to 2018! You really are amazing, Terri!! And it’s so good to hear this perspective because I don’t want to become one of those people that hates change and adventure!! Terri I love your attitude. I am a big propoponent of continuous growth, but sometimes struggles with the braveness part of things. I am currently trying to perfect my flip turn in the pool, which is a small thing, but it challenges me. I used to do it effortlesssly. For years I wore my contact lenses with googles, while swimming. Contacts and flip turns are not a good match. Since I had eye surgery and no longer wear contacts, I realized I could do it once again. The first try scared me-what if I hit the wall and knock myself unconscious? Crazy fear, I know! I admire your bravery on the windsurfer! Way to go, Terri! I am so very jealous! Oh wow. These photos and your story are beautiful and inspirational! I love it. Congrats on this accomplishment. A lovely post about growth, Terri. I am very interested in your windsurfing journey. It is not something I will ever have the opportunity to do so I am enjoying your learning experience. Thank you, Robbie! It is a journey with no end, unless one quits!